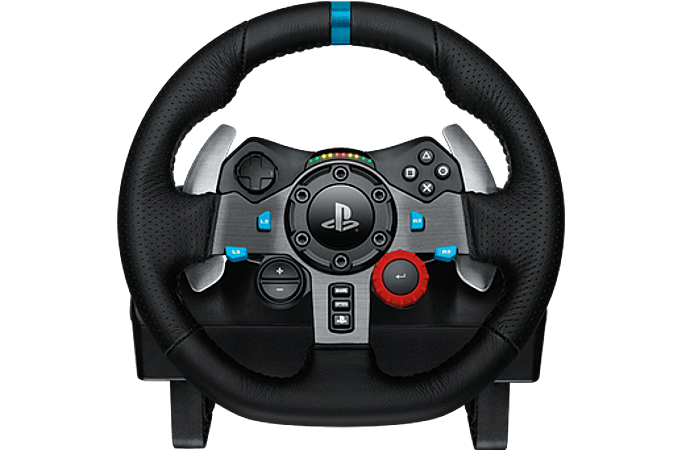 The definitive sim racing wheel for PlayStation 4, PlayStation 3 and PC. 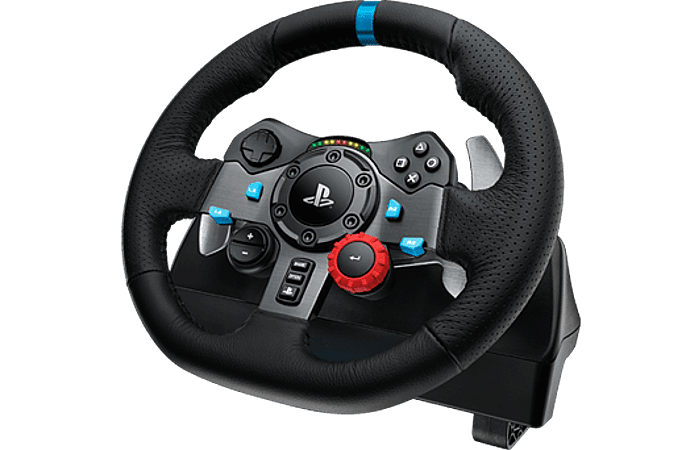 - G29 Driving Force is the definitive sim racing hardware for the latest PlayStation®4, PlayStation®3 and PC titles. - Feature dual-motor force feedback and helical gearing for quiet, smooth steering. - Stainless steel paddle shifters and RPM/Shift indicator LEDs help you make crisp, fluid gear transitions without taking your eyes off the track. - The separate pedal unit gives you natural, responsive control with a nonlinear brake pedal. Driving Force is built for comfort and durability with hand-stitched leather and stainless steel components. 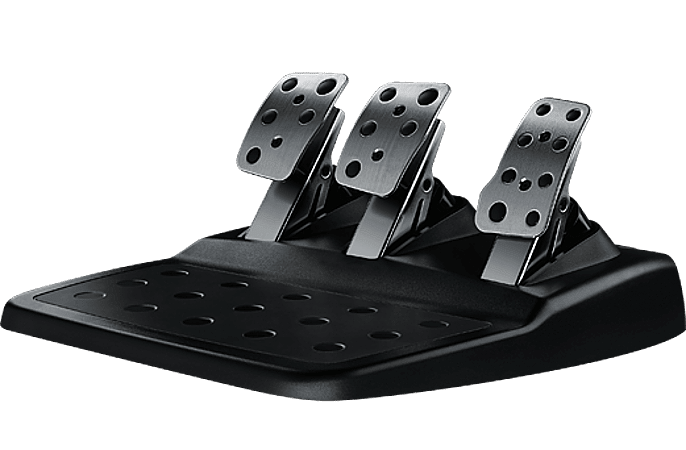 - Built-in clamps and bolt points allow the wheel to be mounted securely to a table or racing rig, minimising shifting or wobbling during aggressive manoeuvres. 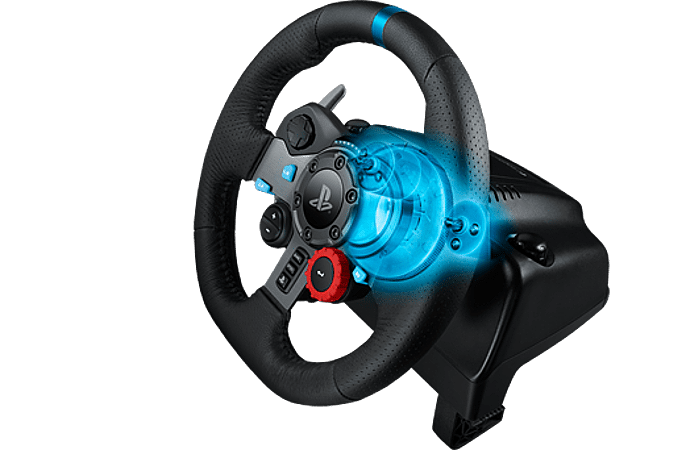 G29 Driving Force is the definitive sim racing hardware for the latest PlayStation®4, PlayStation®3 and PC titles. Feature dual-motor force feedback and helical gearing for quiet, smooth steering. Stainless steel paddle shifters and RPM/Shift indicator LEDs help you make crisp, fluid gear transitions without taking your eyes off the track. 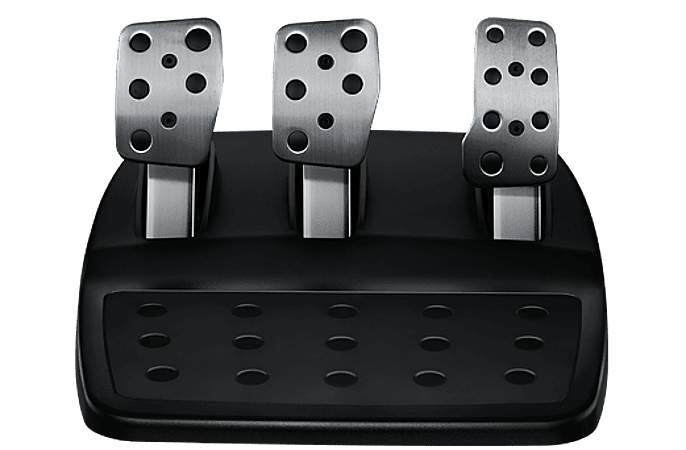 The separate pedal unit gives you natural, responsive control with a nonlinear brake pedal. Driving Force is built for comfort and durability with handstitched leather and stainless steel components. Built-in clamps and bold points allow the wheel to be mounted securely to a table or racing rig, minimising shifting or wobbling during aggressive manoeuvres.